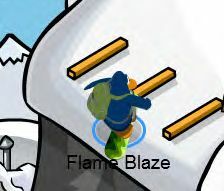 Flame Blaze will be taking a LONG break from posting cheats on this website! Until then, waddle on! the coffee shop is going to get remodled. Pugin and I have been spoting white penguins today. Heres a picture. The fruit party is coming to club penguin and there will be new items. This is Daffodaily5's igloo. Look at the items. There is a banana, a watermelon chair, and a hammonk. Those are new items that haven't come out. These items will be found in the UK when buying an exclusive. Hey guys sorry again. They came up with new puffle hats. And Music Jam 2012 started. In music Jam 2012, you can meet Cece and Rocky for Shake it Up. Cadence and PB perform The Party Starts Now at the Cadence Room. and Cadence has a new background. put in the code "PUMPKIN1" to the code thing and you get this item. Fall Fair has started. 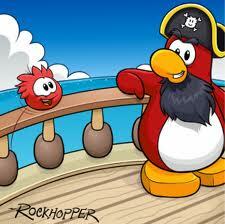 Here is the new Rockhopper background for this visit. 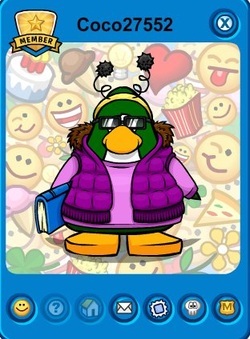 Club penguin has put new fall fair stuff in the catalog. Check out the catalog on the catalogs page. Also club penguin posted a new post about thier moble app. Check it out. 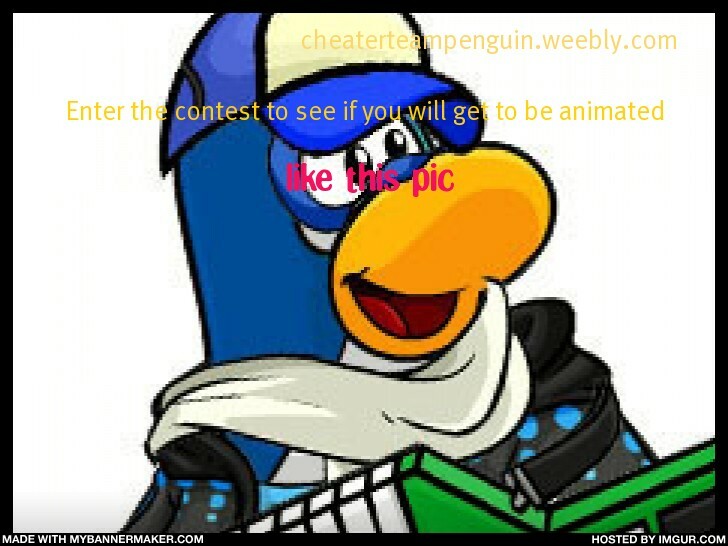 Iv'e decided to hold my first contest so its the animate contest. 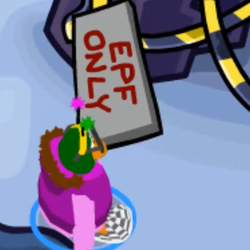 You know how CTP's website updated with real looking penguins? By animate i mean that. Club penguin threw there first ever snow race party.There is a catalog that was there too.Go to catalogs to sees it. Somewhere in the video it showed this message. As you may know, there is a secret video happy77 posted in one of the videos. In that video, there was a new item.Take a look. Could this item be coming out? (the hat) Post to see if it will. A free item will be given out. Could it be the sleds? Maybe. CTP is already on it. The Answer for this is the Green Sled Helmets. Why is Club Penguin so calm all of a sudden? Herbert will be attacking during system defender week. In the newspaper issue 303, click the words read more then click the words extreme peak face-off. The team and I dicovered a person who looks like Happy77.Coco27552. Latley we found out that happy77 might have been online. Then team is working hard to figure it out. These are very interesting questions, Flame blaze! I hope we can find out who the Director really is! Ive discovered something. Look at this picture. Could this have to do with the rare golden puffle? Will we be able to receive a golden puffle? Will penguins be able to go Rockhopper island? Will the directors identity be revealed? Will puffles have new abilities? Will Flame be able to fly? Find OUT!!!!!!!!!! Club penguin has made a new dance. Where the snow board in the catalog and dance. Wwe Adam is a famous penguin on club penguin and recently I discovored his website. Also Here is his banner. 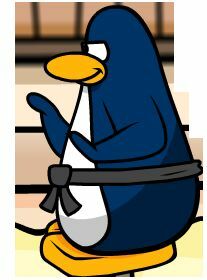 On Club Penguin,my friends and I are ninjas so we could be found at the dojo. My igloo has been updated. This isnt my igloo anymore due to editing it. Remember, it starts August 25. Sometimes at the cove there will be a blue crab that appears about every 10 - 20 minutes. The adventure party started with a big mystery. Rockhoppers cream soda went missing! So to help you find it, I will help. First go to the pizza parlor and read the note.Go to the migrator ship hold to find another message. Read that note then go to the iceberg. (the iceberg is in the cornerof the map floating) Feed the animal in the water by throwing snow balls then read the note that apperars next. Go to the dock and put the ship together. and the cannon will shoot out a note. Go to the forest then climb the ladder. Copy the birds sound using the drum. Then an egg will fall down and crack. A note will be inside. Read then go to cave. Ther will be an X. Dig using a jackhammer and you will get a hat and find Rockhoppers cream soda. Find Rockhopper with our Rockhopper tracker. Club Penguin is an online game where you can waddle around and meet new friends!! !